Is there an official list of Fabuland animal characters? 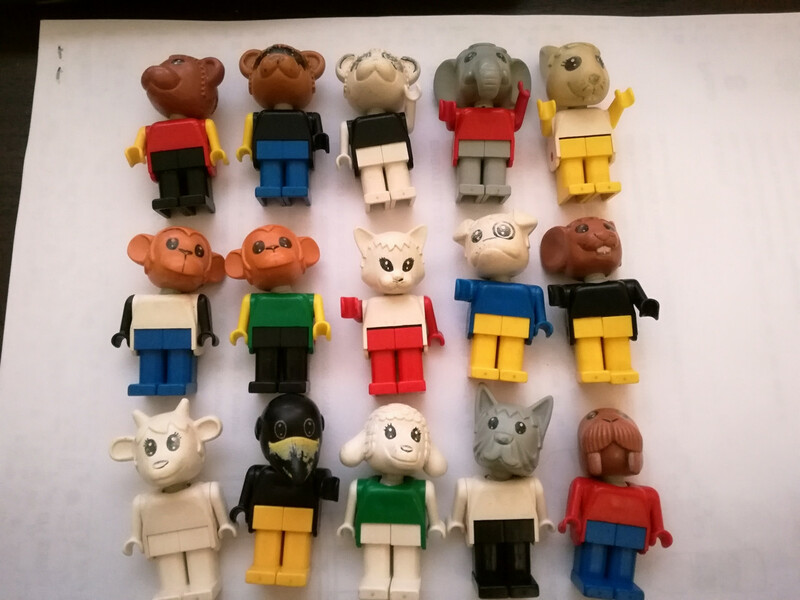 I found in an old box these animal characters. They are all LEGO original (the logo is present on all their parts). They are 25, maybe 30, years old. I think is the Fabuland series. I wonder if there is any way to discover how many they were and if there is any way to complete the collection. Brickset has a list of 89 Fabuland figures. Bricklink has a list of 93 Fabuland figures, these include variations in accessories. Fabuland.net states there are 142 characters in 80 variations and has a full list of characters including which sets they were sold with. There are variations between figures in the copyright markings on the back of the legs, face printing between similar figures. In addition to the standard figures there are 72 variations of Fabuland Keychains. You can purchase these on Bricklink as well in order to complete your collection. While some of the Fabuland characters can still be found fairly easily, others are very rare. Also, as the figures are so old, it can be difficult to find them in good condition. As demonstrated by the crow in the last row of your picture, the facial printing didn't stand up well to regular play. The hip and arm joints can also get very loose if the figures were played with regularly. Not the answer you're looking for? Browse other questions tagged minifigure-identification fabuland or ask your own question. Is there a database of original Minifigure configurations, including their personal gear? Is there a web resource available to browse LEGO Minifig head designs?